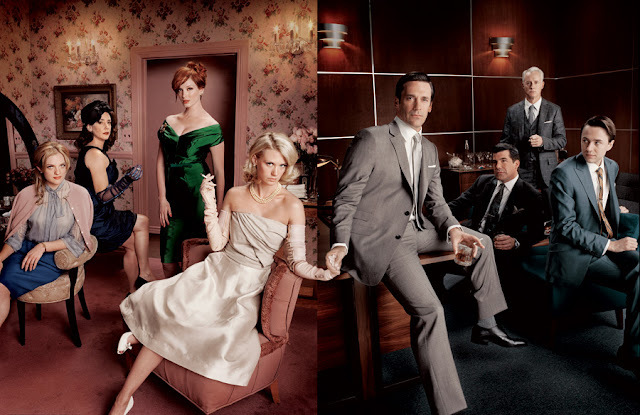 I cannot believe the night is finally here for the premiere of Mad Men! 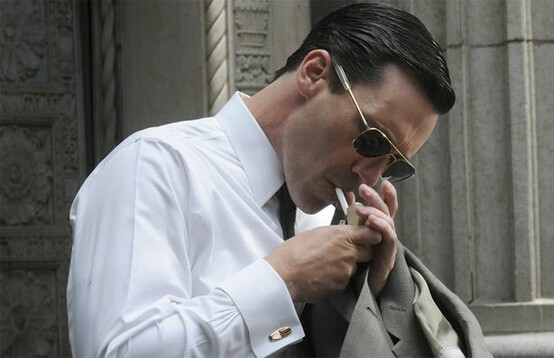 I am easily addicted to shows but there is something about Mad Men that keeps me coming back. Set in the 1960's it is a step back in time in every aspect. What I love the most about the series would have to be the fashion of the men and women. Everyone looked their best and never left home without their red lipstick or fedora and briefcase. Don Draper the gentleman or Betty with her perfect "Barbie housewife" style are the example couple yet have so many flaws. There are so many characters I love and it is so hard to narrow what I love the most. All I have to say is that if you haven't seen an episode.. start now! I was doing my daily blog reads and I came across a great post by Miss at la Playa that I had to share. - The great idea will come when you least expect it, or at the last moment. - Dressing well makes things easier. - The secretary is the one that actually runs the office. - Those who look perfect on the outside are the most torn up on the inside. - Drinking scotch at 10 AM doesn't solve things. - Having to be creative all the time is one of the most difficult jobs. - Passing off as someone else and having to hide your whole past is not a good idea. - Sleeping with your boss is not a good idea either. - Looking like a Barbie 24/7 is exhausting. - Being mysterious is cool. - Keeping clean shirts in your office could be really useful. - 90% of the time at the office will be spent on gossiping about your colleague's affairs. You can still be a genius making good use of the 10% left. - Pretending to shoot your neighbor's pigeons with a rifle is a good stress reliever. - If you do things expecting to get people's approval and appraisal, you will never be happy. - The most powerful man is the weakest one. - Having a sense of humor is vital. There you have it folks! I think we can all agree that most of these life lessons can still apply to today.